Henna (Lawsonia Inermis) is a flowering plant. The leaves of the Henna plant contain a natural and very effective coloring pigment: Lawsone. This Orange/Red dye releases as the leaves are crushed. Drying, milling, and sifting the Henna leaves into a fine powder maximizes the pigment (Lawsone) release. The powdered henna will activate with air and water. After mixing to a paste, you can apply directly to your hair or skin for Natural, Super-Effective coloring. Henna temporarily tattoos the body, and permanently colors hair. The Lawsone dye molecules actually color the hair and skin by safely binding to their protein molecules. They darken as they absorb deeper into the hair and skin (bind to additional proteins). The color maxes out in about 48 hours and can naturally last for weeks. Pretty awesome stuff—no wonder Henna has been trusted for hair & body for thousands of years—evidence of cosmetic use found from ancient Egypt to Persia to the Roman Empire. This wonder shrub grows in the tropical and subtropical zones of Africa, Southern Asia, and Northern Australasia. Henna thrives just outside their desert regions. And the best quality Henna, known for its color richness and content purity, is grown and harvested in Northwestern India. c/o Wikipedia 2013: Henna (Lawsonia inermis), also called henna tree is a flowering plant used since antiquity to dye skin, hair, fingernails, leather and wool. The name is also used for dye preparations derived from the plant, and for the art of temporary tattooing based on those dyes. Additionally, the name is misused for other skin and hair dyes, such as black henna or neutral henna, which are not derived from the plant. The English name “henna” comes from the Arabic حِنَّاء (ALA-LC: ḥinnāʾ) or colloquially حنا, loosely pronounced /ħinna/. Henna is a tall shrub or small tree, 2.6 m high. It is glabrous, multi-branched with spine tipped branchlets. Leaves are opposite, entire, glabrous, sub-sessile, elliptical, and broadly lanceolate (1.5–5.0 cm x 0.5–2 cm), acuminate, having depressed veins on the dorsal surface. Henna flowers have four sepals and a 2 mm calyx tube with 3 mm spread lobes. Petals are obvate, white or red stamens inserted in pairs on the rim of the calyx tube. Ovary is four celled, style up to 5 mm long and erect. Fruits are small, brownish capsules, 4–8 mm in diameter, with 32–49 seeds per fruit, and open irregularly into four splits. The henna plant is native to tropical and subtropical regions of Africa, southern Asia, and northern Australasia in semi-arid zones. Henna’s indigenous zone is the tropical savannah and tropical arid zone, in latitudes between 15° and 25° N and S from Africa to the western Pacific rim, and produces highest dye content in temperatures between 35 °C and 45 °C. During the onset of precipitation intervals, the plant grows rapidly; putting out new shoots, then growth slows. The leaves gradually yellow and fall during prolonged dry or cool intervals. It does not thrive where minimum temperatures are below 11 °C. Temperatures below 5 °C will kill the henna plant. Henna is commercially cultivated in Morocco,Algeria, Yemen, Tunisia, Libya, Saudi Arabia, Egypt, India, Iraq, Iran, Pakistan, Bangladesh, Afghanistan, Turkey, Somalia and Sudan. Presently the Pali district of Rajasthan is the most heavily cultivated henna production area in India, with over 100 henna processors operating in Sojat City. Henna has been used since the Bronze Age to dye skin (including body art), hair, fingernails, leather, silk and wool. In several parts of the world it is traditionally used in various festivals and celebrations. There is mention of henna as a hair dye in Indian court records around 400 CE, in Rome during the Roman Empire, and in Spain during Convivencia. It was listed in the medical texts of the Ebers Papyrus (16th c BCE Egypt) and by Ibn Qayyim al-Jawziyya (14th c CE (Syria and Egypt) as a medicinal herb. In Morocco, wool is dyed and ornamented with henna, as are drumheads and other leather goods. Use of henna for body art has enjoyed a recent renaissance due to improvements in cultivation, processing, and the emigration of people from traditional henna-using regions. For skin dyeing, a paste of ground henna (either prepared from a dried powder or from fresh ground leaves) is placed in contact with the skin from a few hours to overnight. Henna stains can last a few days to a month depending on the quality of the paste, individual skin type, and how long the paste is allowed to stay on the skin. Henna flowers have been used to create perfume since ancient times, and henna perfume is experiencing a resurgence. Henna repels some insect pests and mildew. Henna’s coloring properties are due to lawsone, a burgundy organic compound that has an affinity for bonding with protein. Lawsone is primarily concentrated in the leaves, especially in the petioles of the leaf. Lawsone content in leaves is negatively correlated with the number of seeds in the fruits. Henna has been used as a cosmetic hair dye for 6,000 years. In Ancient Egypt, Cleopatra and Nefertiti were known to have used it. It was commonly used for many centuries in areas of India, the Middle East, and Africa.In Europe, henna was popular among women connected to the aesthetic movement and the Pre-Raphaelite artists of England in the 1800s. The fashion for Orientalism led young women with a bohemian inclination to begin tinting their hair with henna. Dante Gabriel Rosetti’s wife and muse, Elizabeth Siddal, had naturally bright red hair. Contrary to the cultural tradition in Britain that considered red hair unattractive, the Pre-Raphaelites “fetishized” red hair. Siddal was portrayed by Rosetti in many paintings that emphasized her flowing red hair.The other Pre-Raphaelites, including Frederic Leighton, Evelyn de Morgan, Anthony Frederick Augustus Sandys, and French painters such as Gaston Bussière sometimes credited with popularizing the use of henna in Europe in the late 1800s. Parisian courtesan Cora Pearl was often referred to as La Lune Rousse (the red moon) for dying her hair red. In her memoirs, she relates an incident when she dyed her pet dog’s fur to match her own hair. By the 1950s, Lucille Ball popularized “henna rinse” as her character, Lucy Ricardo, called it on the television show I Love Lucy. It gained popularity among young people in the 1960s through growing interest in Eastern cultures. Muslims also use henna as a dye for their hair and for the beards of males—following the tradition of their prophet Muhammad, who used to dye his beard with henna. It’s considered a “sunnah” and akin to something fortunate/good. In one narration by him, he encouraged Muslim women to dye their nails with henna so their hands can be distinguished as feminine & from the hands of a male. Hence you will see this tradition greatly in the Middle East and Africa where women apply henna to their finger and toe nails, as well as their hands. Henna Hair Dye: Naturally, Gently Colors Hair. Strengthens the Hair Shaft. Detoxes the follicles. Conditions the Scalp. Fights Dandruff. Henna’s pigment, lawsone, gradually migrates into the hair shaft while setting and will naturally & gently bind to the keratin(protein) in your hair. It will actually maintain your current natural highlights and undertones. Henna fuses into, does not artificially cover, your existing hair color variations. The color appears completely natural—never “cakey” and artificial like traditional chemical-based hair dyes. Henna will condition and repair the hair while it colors during the treatment (1-2 hours+). Unlike artificial slick-coating leave-in conditioners, henna works from the scalp up. The conditioning effects are the total process of the application: the henna paste detoxes the scalp and roots(anti-bacterial & fungal); the lawsone pigment positively restructures the hair proteins; the cuticle layer of the hair smoothes and lies flat adding shine; and the rinsing of the dry paste naturally extracts hair residue (pollution, styling products, etc.) as it washes out—like a facial mud mask…just a natural, time-proven, super combo. Our products are formulated with Premium pure body art quality henna and a proprietary mixture of Indian & Middle Eastern herbs. Individually, they’ve been used for thousands of years in the East and regularly mixed together to form wonderful hair dye & hair conditioning treatments. Indian women regularly make henna application a day long practice with family and friends. They’ll henna-up their hair, make food, and entertain; it’s an event—some even sleep 8+ hours in their henna-hair wrap. 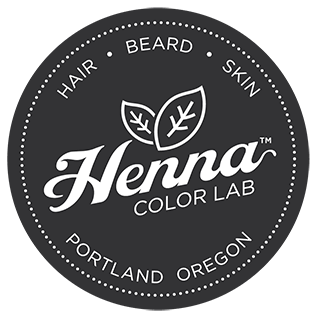 It’s 100% Safe: You could color your hair red (Pure Henna) on Monday, and then dye it brown (Dark Brown Henna Blend) on Wednesday, and then black (Natural Black Henna Blend) on Friday. Color depth and treatment effects only improve with additional applications—Go for it!